The New Zealand provinces also had official seals. 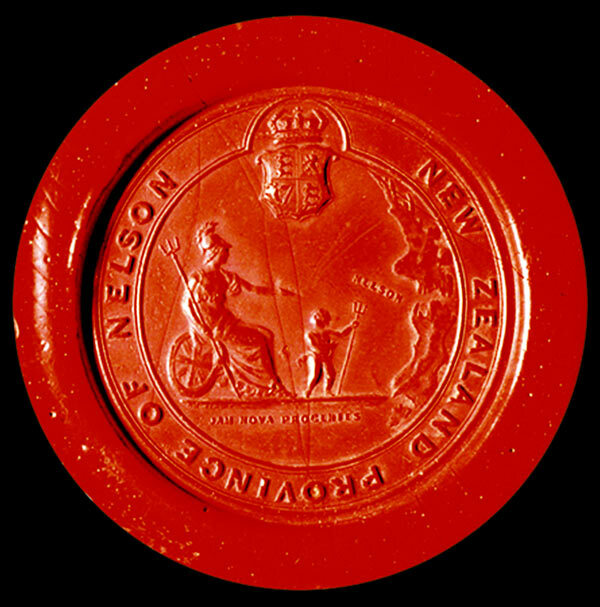 This is a picture of the impression made in sealing wax by the Nelson provincial government’s seal. Nelson is conveniently marked on a map of New Zealand, while Britannia (seated alongside her Union Jack shield) points towards Nelson and her young disciple, who – like Britannia – carries a trident, and represents Britannia’s new, young lands.